There aren’t many certainties in life, save death and taxes. But STT is happy to add – without reservation – to that short-list, another: that you’ll never find the words ‘integrity’ and ‘wind industry’ coupling up in the same sentence. Not content with setting up ‘standards’ with absolutely no relevance when it comes to protecting neighbours’ sleep and health, the industry’s noise ‘experts’ have repeatedly shown their eagerness to hide ‘unhelpful’ data, to write reports made to ‘measure’; and to otherwise guarantee their pay masters that they can and will continue to destroy neighbours’ abilities to sleep, live in and otherwise enjoy their homes and properties, with state-sanctioned impunity. 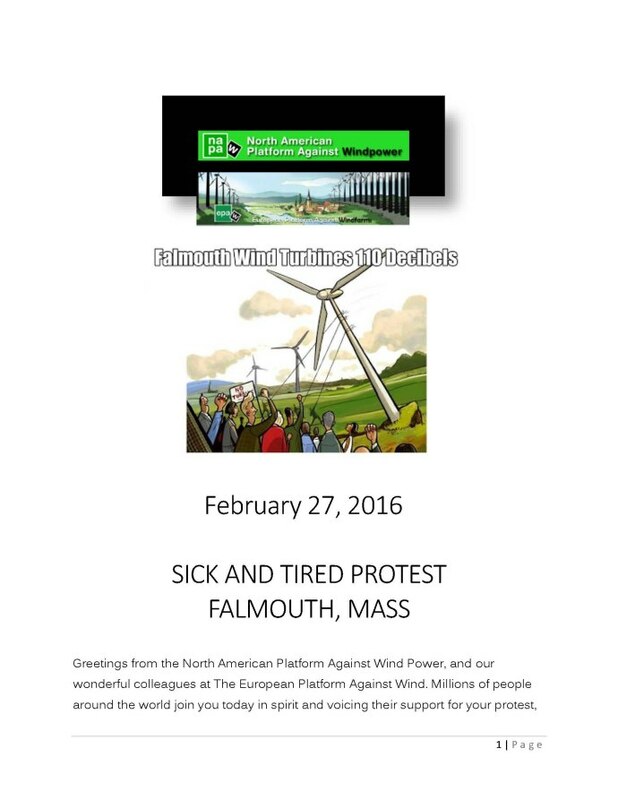 And the very same type of wind industry backed criminal activity has just been exposed in Falmouth Massachusetts. The Massachusetts Clean Energy Center Board of Directors is aware of the 6 to 7 decibels missing from the Falmouth noise tests. The MassCEC Board of Directors has given the Town of Falmouth 1.8 million dollars to help pay litigation costs against the wind turbine victims. This is renewable energy tax receipts your money. The MassCEC sold the Falmouth Wind I turbine to the Town of Falmouth. The fraudulent wind turbine studies and corruption puts Falmouth taxpayers at risk of tens of millions in litigation for wind turbine nuisance for up to 200 residential home owners. What does it mean? 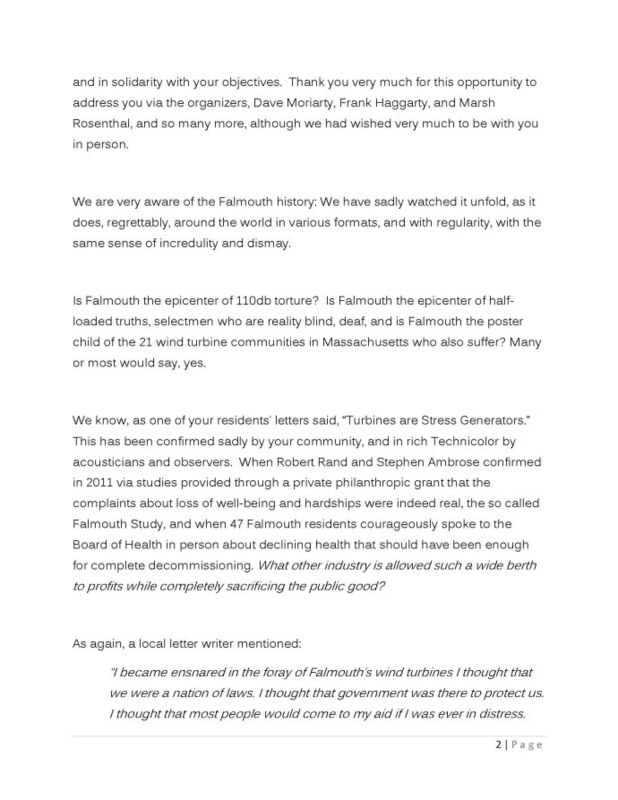 The town knew prior to the installation of Falmouth Wind I the turbines were 6 + decibels over the original studies and hid the information from the public. On June 15, 2011, Salvatore F. DiMasi became the third consecutive Speaker of the Massachusetts House of Representatives to be found guilty of a federal crime. DiMasi’s trial and conviction naturally highlighted the issue of political corruption in Massachusetts, which has become a matter of serious public concern in recent years. Sal Dimasi is considered the father of the Massachusetts Green Communities Act. Former Governor Patrick admitted at the trial of Dimasi that he, Governor Patrick, is “Sally Reynolds” the author of emails from the state house. Federal law looks at governmental corruption that crosses an imprecise line into dishonest behavior that our society is not prepared to tolerate. Federal prosecutors seeking to crack down on public corruption have had plenty of targets among Massachusetts elected officials in recent years. 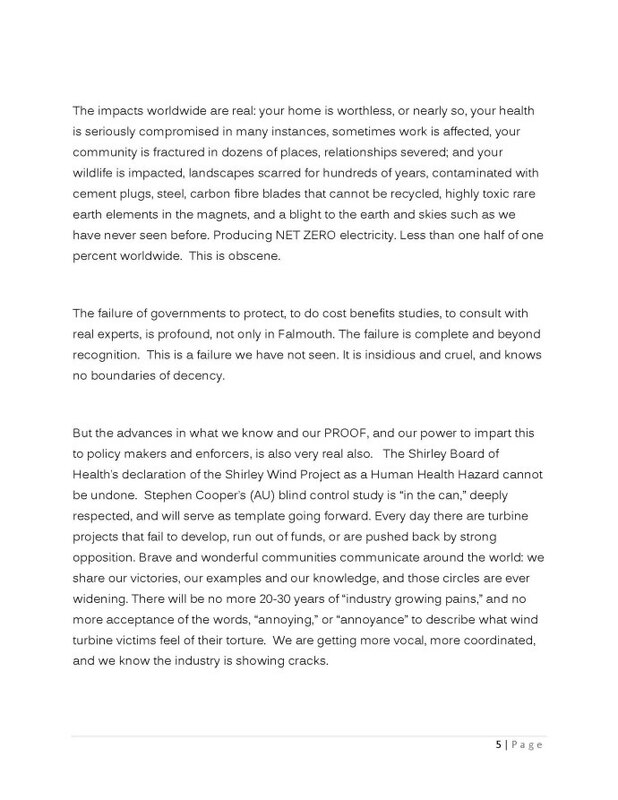 The Town of Falmouth hid a noise warning letter from Town Meeting Members for 5 years that the Vestas wind turbines were 6 to 7 decibels louder than the feasibility studies. At over 100 decibels this more than doubles the noise. The attorneys for the Town of Falmouth and the news media have been well aware of the noise levels for years. 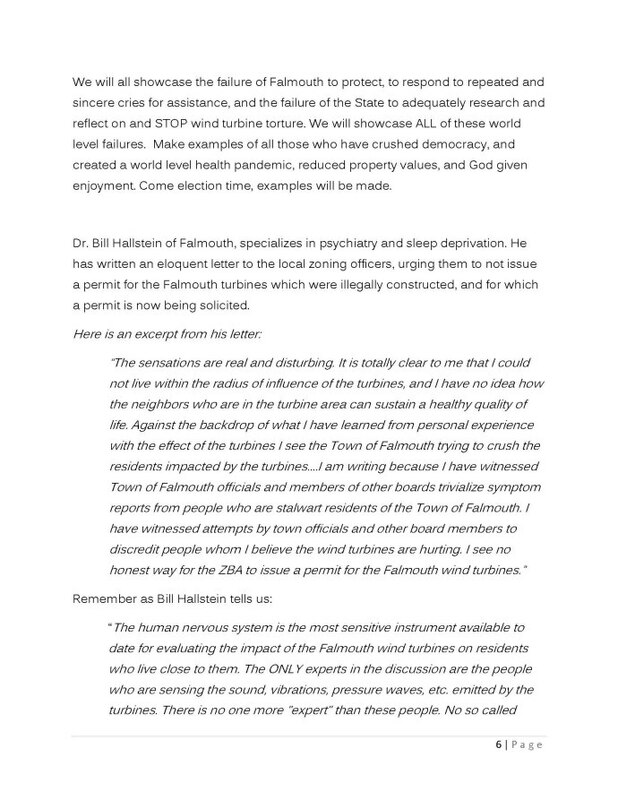 Falmouth taxpayers are paying for litigation in which they can’t win. 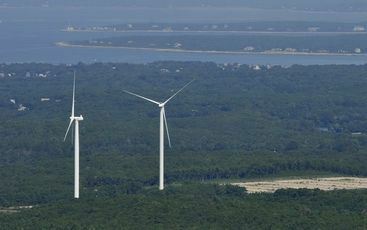 The Town of Falmouth today has no study for the two town owned Vestas wind turbines that generate 110 decibels of noise. 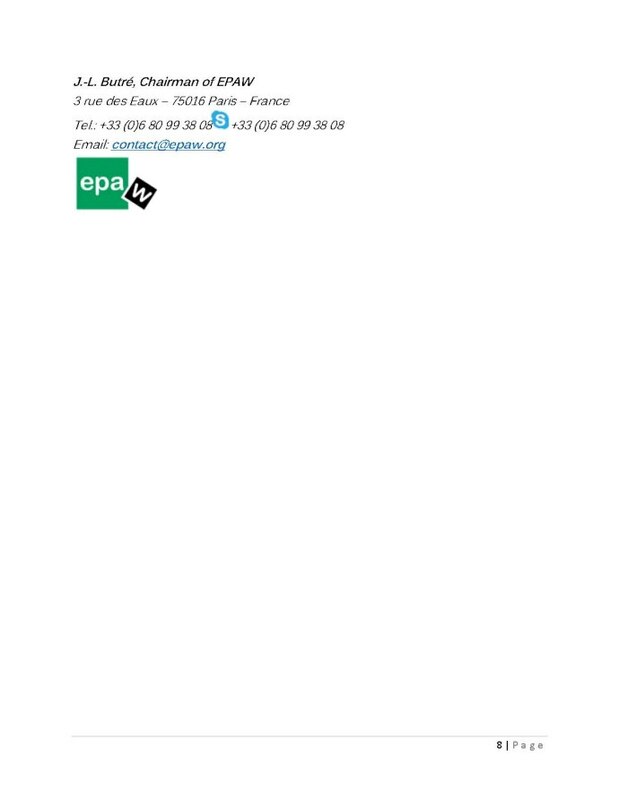 The wind turbines can not be permitted under any permit. Public health and safety concerns are the main concern of the Zoning Board of Appeals. 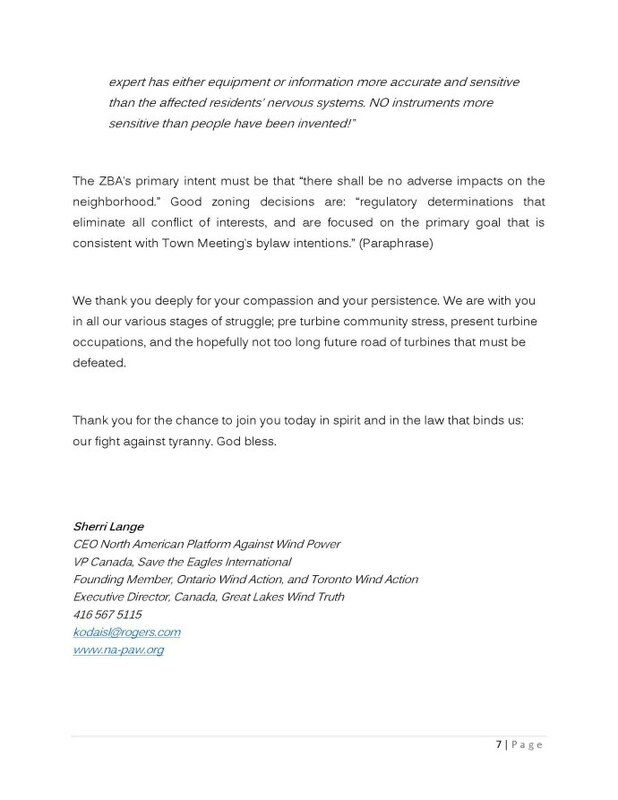 The facts have already been established the turbines endanger the public health, safety and substantially diminish or impair property rights. On April 2, 2013 the Massachusetts Clean Energy Center in a memo to the MassCEC Board of Directors admitted acoustic noise “mistakes” prior to the installation of Falmouth Wind I. Crimes have a corrosive and harmful effect on public confidence in our government and other trusted institutions, including such crimes as perjury and obstruction of justice. Massachusetts politicians have found themselves repeatedly in the cross hairs of federal prosecutors seeking to crack down on public corruption. But in light of the Supreme Court’s landmark decision in Skilling v. United States, convicting corrupt state legislators and other public servants of so-called “honest services” fraud – long the preferred method of prosecuting official betrayals of the public trust. 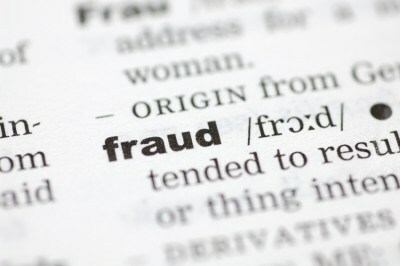 The honest services fraud statute remains a practical and effective tool for combating political corruption. “Steve, I don’t believe I saw a feasibility study for Falmouth other than Site Plans. Was a sound study updated with the additional turbine? Does the information I provided in the octave band data support the conclusions that you are conservatvely within MA state sound regulations? The table highlights the fact that V82 produces greater decibels when it reaches its stall regime beyond the IEC design standard at 95% capacity. The table also helps recognize the effects of shear on the sound levels experienced at receptors which should also be considering with the sound study. The Answer: There appears to have been no answer to this Vestas email by either the Town or W&S (based on documents requested through discovery, and what has and has not been provided). There never was any decibel mapping for the second turbine, or for both turbines operating together, as of the date of the Potamis letter accepting responsibility. The concern of Vestas (accurate acoustical mapping) was apparently ignored. Note # It is important to note that the HMMH studies commissioned by the Town AFTER the distress was known acknowledged the maximum sound power level of 110dB(A) for the Vestas V-82, but inputted the averaged Octave Band Data of 103.2 dB(A) power into its projected sound pressures. Thus, the HMMH studies are low by about 6-7 dB(A). Even so, both the main HMMH study and the supplement showed many instances of exceedances at the neighbors’ homes. 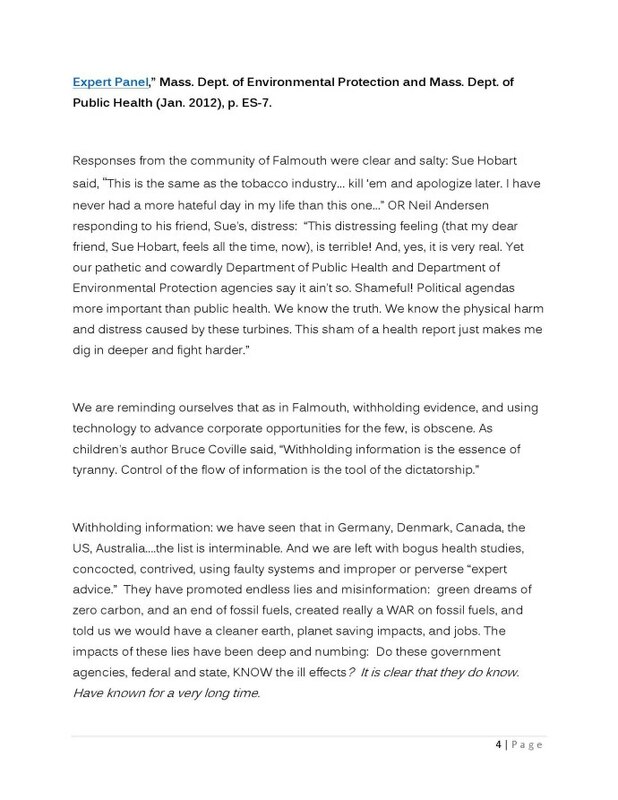 The Falmouth Select Board and Falmouth Town Meeting Members are aware of the above facts. See the Final Meeting Summary. 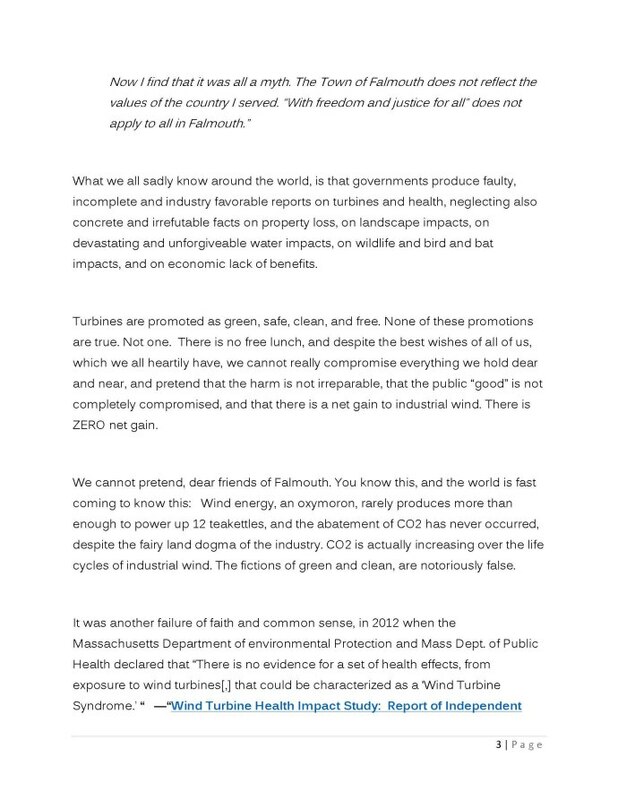 See this link for more information on how long the Town of Falmouth needlessly tortured their own residents in the name of renewable energy:ZBA Submission.